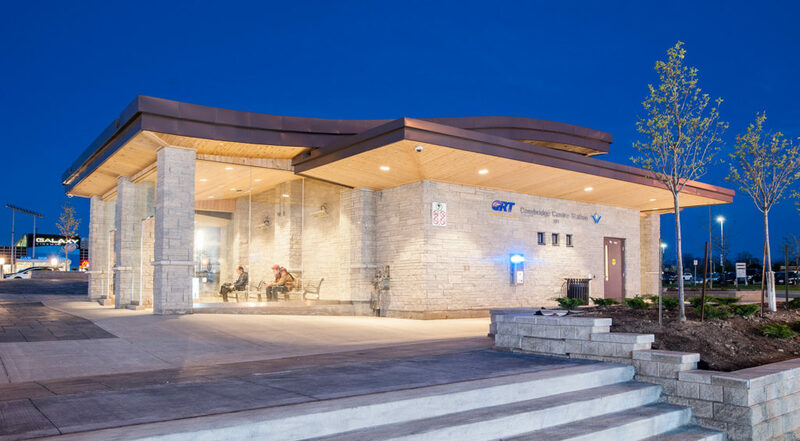 The new Cambridge Centre Bus Terminal is located at 381 Hespeler Road. 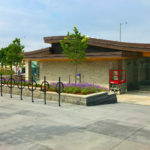 This terminal is one of the City of Cambridge’s primary transit hubs and is centrally located at the Cambridge Centre Mall. 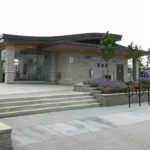 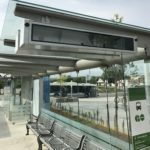 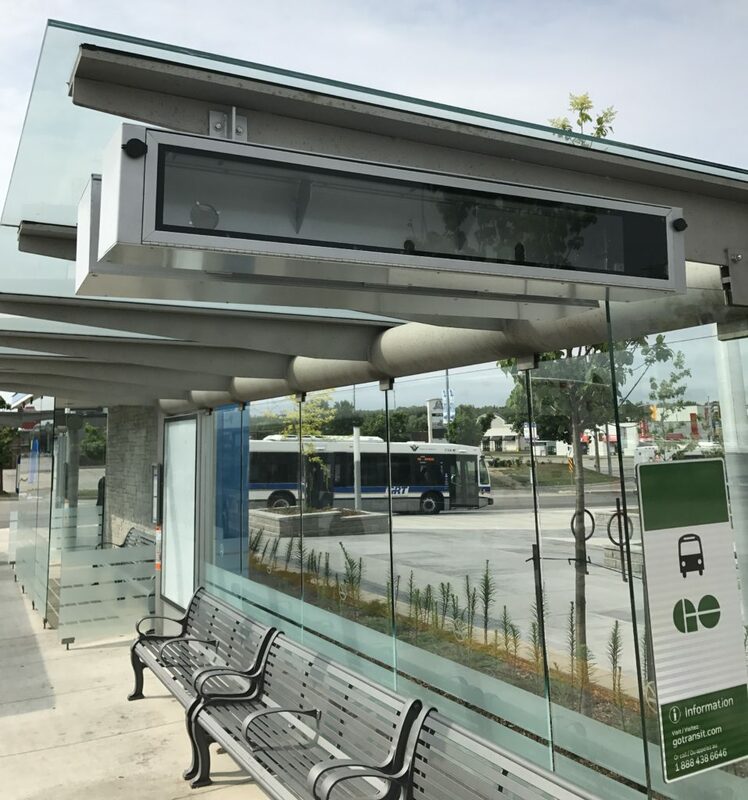 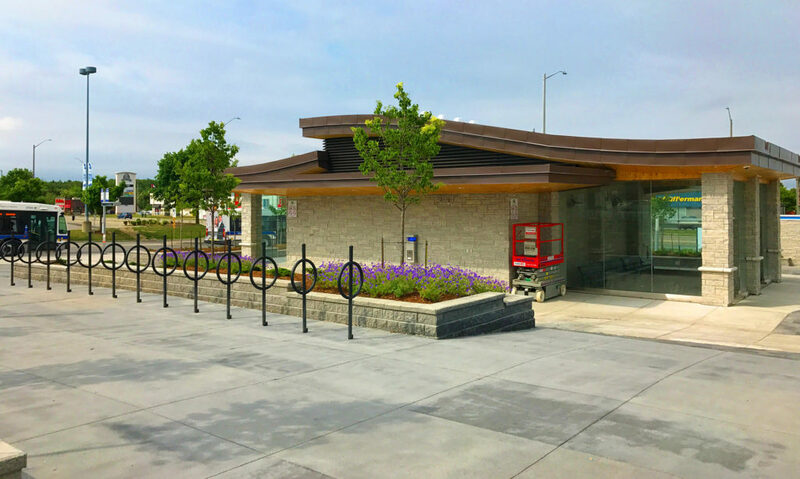 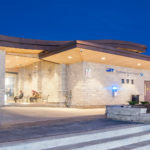 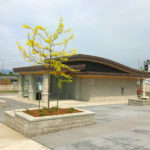 The new satellite transit station includes a Driver Relief Building, pedestrian islands that incorporate 10 bus stops interconnecting transit services from the Grand River Transit, the Region of Waterloo Rapid Transit System and ION Buses. 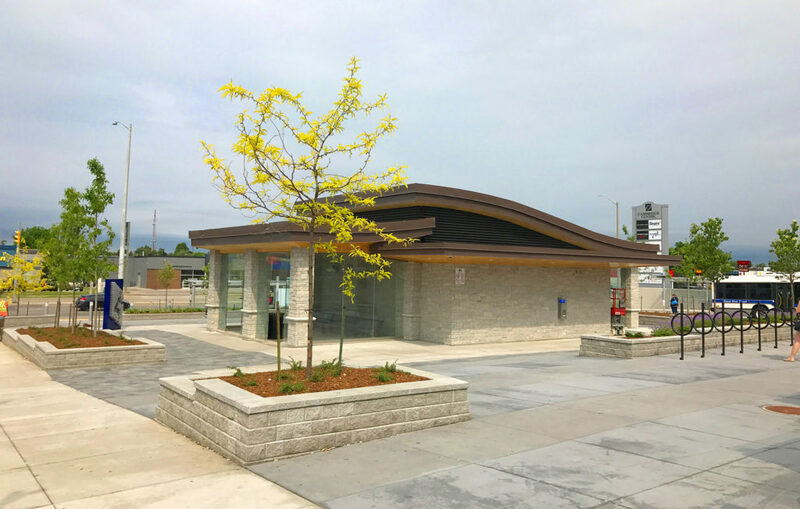 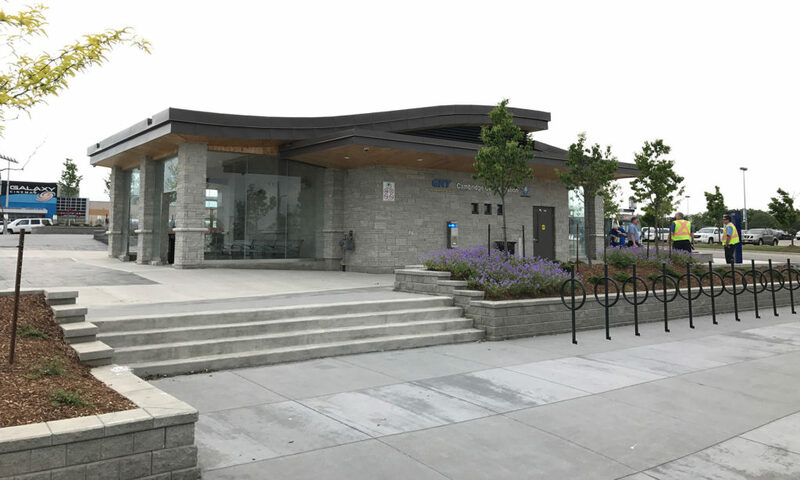 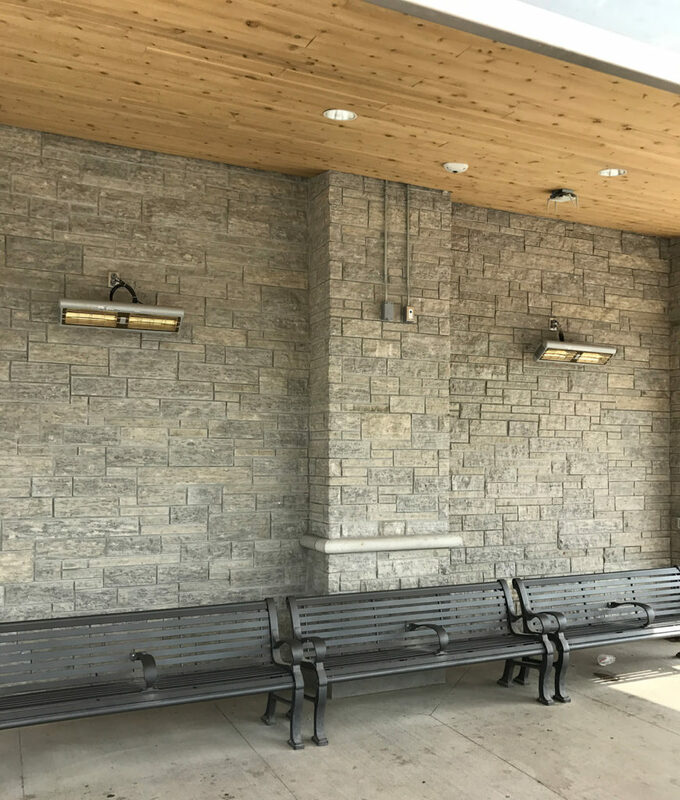 Exterior landscaping, shelters and public art pieces make this terminal a welcoming, safe and inviting experience for all riders. 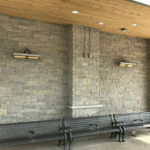 The project also included various roadway improvements, relocation of utilities and new service connections in order to accommodate the new facility.